Tried another sample, this time not fresh from the bottle. The second sample had oxidation influence, which really made this rye better and made me change the score to higher. First batch ever of Finnish rye whisky for retail markets. Kyrö Single Malt Rye is made from 100% malted wholegrain rye. The most anticipated whisky of the year for me and I almost didn’t get a chance to taste it. That’s right, the success of Napue Gin gave a positive problem for the folks at Kyrö distillery. Napue gave them so much work that their whisky production had to suffer. So they could only produce a very small first batch of first Finnish rye whisky for retail markets. Until the end of year 2017, they have only 100 000 liters of whisky aging in their warehouse, most of it distilled in 2017. Fortunately there’s other batches coming in three years and Kyrö’s whisky production will continue. Hopefully I’ll get my own bottle of Kyrö malted rye the next time. 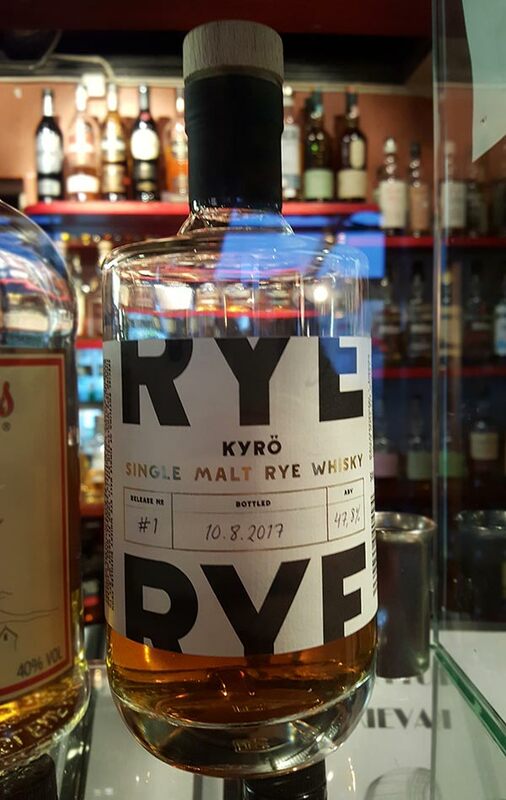 As a big fan of rye whiskey, and knowing that malted rye is not that common, Kyrö Rye Whisky is something worth waiting for. 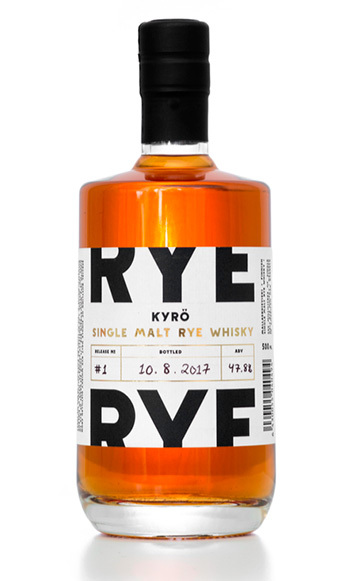 This first batch of Kyrö Distillery’s malted rye was matured in Ex-Bourbon casks and finished in Ex-Wine casks (Marsala). First matured in small 30 and 60 liter casks before transferred to American first fill bourbon casks. Two weeks before bottling on August 10, 2017, it got its finishing touch in American casks, which had been given a Marsala treatment. The scents resemble very much Juuri rye distillate – spirit used in the making of this malted rye whisky. 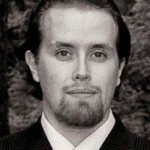 Juuri has given mixed signals to fellow whisky bloggers and aficionados, but I liked it. The presence of Juuri is strong in this whisky batch. I think that this spirit has been tamed, even though you can spot the young age right away. Tamed too much? A bit, yes. All in all, a good rye whisky, but needs more aging or stronger ABV. Or without the Marsala finish. Promising start from Kyrö. Like the Finnish movie Wild North (Villi Pohjola), starring strong Tapio Rautavaara and gentle Elina Pohjanpää. Dynamic mix of gritty rye grain (Tapsa) and mellow wild berries (Elina). And for the record: the movie takes place in Lapland, which is actually in north, unlike Isokyrö. But for a southerner like me, even Isokyrö feels like the Wild North. Below you can see my first impressions – I’ve saved a small sample for later. So I’ll get back with updated tasting notes very soon. Nose: Somehow my first impression feels very wheated and bit dumpy. Quite fast, fresh Juuri aromas evolve, giving the dram some grappa kind of aromas. Fresh juniper notes come over time. Water brings out the Marsala a bit and emphasizes the dumpy notes. Another sample which has been resting in a sample bottle for a month: Rye starts to evolve with oxidation. Herbal notes and very strong juniper aromas along with pine. The presence of Juuri is still strong! Taste: Slightly minty with fresh, smooth and sweet rye and oak. Bit spicy. Water adds fresh berries. Nice to get that rye feel, even though it’s very subtle. Too sophisticated for my taste. Another sample: Peppery but sweet, like chewing a spicy yet little bit fruity and minty bubble gum. I really like the taste much more now than when I first tasted it. Finish: Nutmeg and fresh oak. Water makes it more oaky. It’s amazing how smooth this whisky is. Then again, it seems to be missing some of the typical great rye notes. Another sample: Powerful finish of peppers and wee mint! Oxidation has taken this rye to another level taste-wise. Rye notes are starting to rise, complimenting the spicy aftertaste. Tropical fruits hit very late in the aftertaste. Balance: Feel of rye is not that strong and the Marsala finish doesn’t show that much. Or at least it doesn’t compliment this dram so much. Good start but surely this was just the first exercise. Rehearsal batch which makes a promise: good things are coming from this distillery. Hopefully we get to see 4 and 6 year old Kyrö ryes as well. I’m sure that with more aging, perhaps without the Marsala finish, this rye would score something over 90 points. Oxidation makes this dram much better, though! First Finnish Rye Whisky – second bottle from Kerttulin Kievari, whisky bar in Turku, Finland.